Whats you favorite guitar present and past...and the one that got away. I currently have 8 guitars. My favorite is my 2005 USA Strat loaded with Klein pickups. 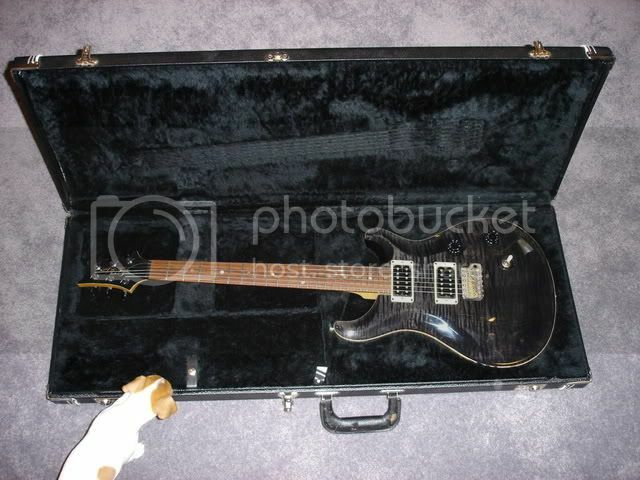 My past favorite was my PRS CE24 with McCarty switching. Sold it on ebay, shipped it to the United Kingdom. Man I miss this guitar, but I still got that dog ! 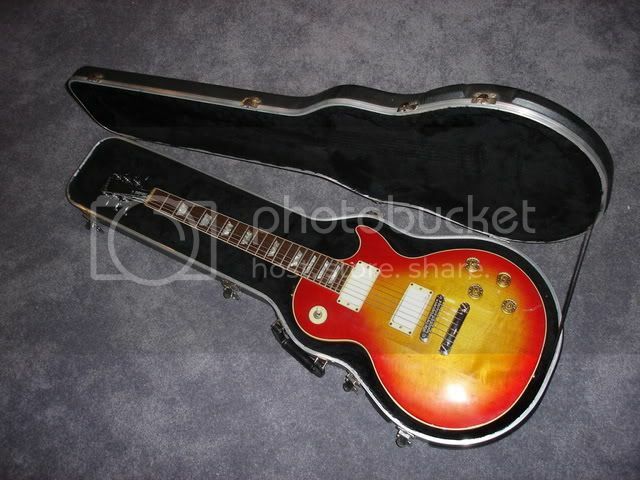 The one that got away was my black 1977 Gibson Les Paul Custom, I owned it in the mid 90's. I've got my eye a a Fender SRV Strat at a local shop thats calling my name. Re: Whats you favorite guitar present and past...and the one that got away. I really am pretty happy with my current guitars. I go to look at new ones, used ones, etc. and just never find anymore that I just have to have. 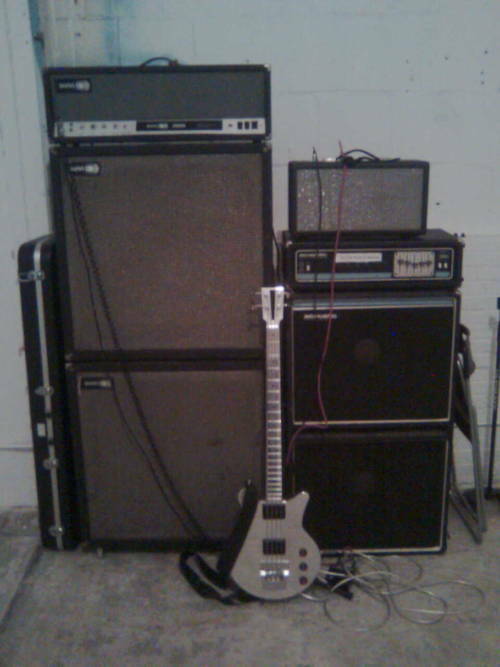 I currently have a Gibson Flying V, a Gibson Les Paul, an Epi Moderne, an Epi Les Paul Custom (both Epis are highly modded), a 2002 Japanese DT420 Ibanez Destroyer, and a 1977 Ibanez 2350CS Les Paul. That is really two to many, I usually only rotate 4. I had 14 at one time, that was just to much, many just sat for years and years. The one that got away: I was jonesing for a P90 guitar and I ran across a used 2002 Gibson Les Paul Special DC in Ferrari red that played great and sounded really nice. But it was pretty plain, that didn't matter much. Got it home was enjoying it. Pulled the pup covers off - not P90s, P100s. That just wouldn't do. So I traded it in on a brand new Gibson SG Classic (P90s). Loved the SG for a couple of months, then the new wore off and I started thinking about that DC Special, was a great guitar in every way, and sounded WAY better than the SG Classic. I wish I had it still, but I do have some pix I took, I'd love to find another with P100s. That is the only guitar I ever regret getting rid of. I got to looking back at some of my pics and spotted no less that 14 or 15 I wish I had back. This was a good 1986 Gibson Les Paul Standard. I ordered white EMG 81 & 85 Zakk Wylde pickups and put in this one, it was an old work horse and was dinged up but played like butter and rocked like a beast ! Sold on ebay and shipped to NYC in around 2005. Current favorite is my newest. Limited edition EGC wedge. Is that aluminum ? Interesting guitar, I checked out their website, I had never heard of those before. Nice! 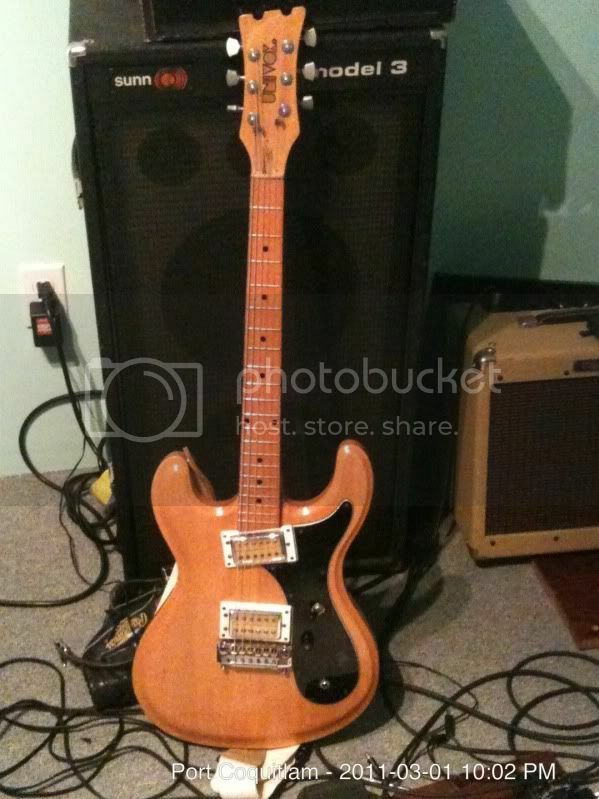 The body is wood and the neck is aluminum. The rear of the body is covered with an aluminum plate. All aluminum on this one is powder-coated black. EGC's guitars are getting more popular. Played by the likes of Sunn O))), Melvins, Isis, Kylesa, Torche, Shellac, Mastodon, Metallica, Red Sparowes, Baroness and many more bands. A friend of mine is a big fan and has owned many James Trussarts. They are steel or aluminum and sometimes even copper. They are very nice quality and expensive. I have never owned a Trussart but I have played his and they are awesome. The sound, build quality and craftsmanship are amazing. Wow I like your other EGC also...nice. Took me a few years after discovering it to finally get one, but I got it and I couldn't be happier. Walt...got any pics of it ? Next time I've got my Nikon D40 with me I'll take some fore you. My favorite current guitar is an alpine white 2002 Gibson Historic Reissue '61 Les Paul SG. My favorite all time was an ebony '95 Les Paul Standard, which I foolishly sold. Sorry, no pics of either. As far as basses, my current and all time favorite is also an EGC (as seen above) and has made my desire for all other basses disappear. The one that got away would be my '76 Ric 4001, but I sold it because once I got the EGC it felt like a toy and I never used it. No regrets really.